Professional Zwilling knife, 260 mm. A 260 mm professional carving knife by Zwilling. 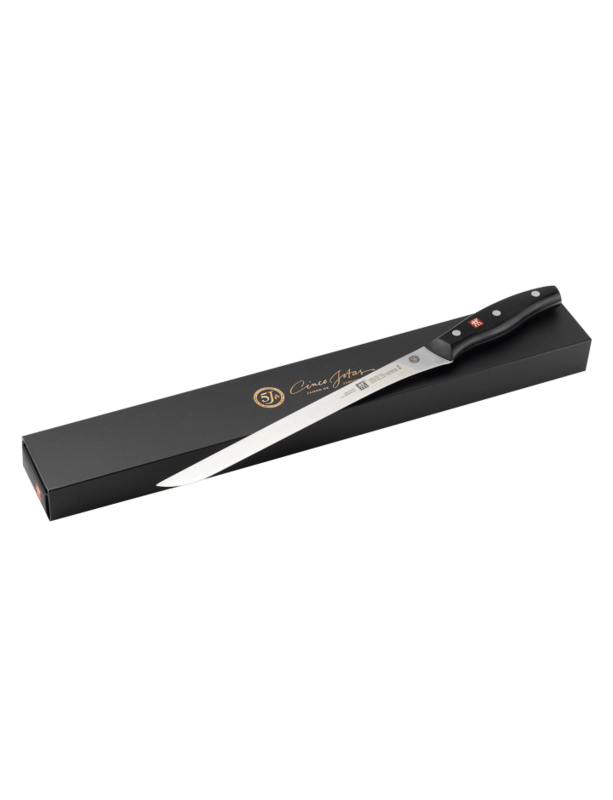 This professional Zwilling knife is made of a single piece of steel, without gaps in the connection with the handle, providing optimum balance and safer handling during the carving process. Its flexible blade cuts extremely thin slices to maximize appreciation of the high-quality Cinco Jotas ham. Make the most of your ham with professional carving thanks to this excellent piece of cutlery.